For the adventure seekers you can never miss out this exciting adventure sport in Shimla. River rafting is one of the favourite sport in Shimla. The Sutlej River which runs at a high pace makes the sport more thrilling. Feel the thrill as you try this extreme sports. One of the famous river rafting path is at a distance of 12 km and start from Chamba and end at Tatthapani amidst the water of the river Sutlej. 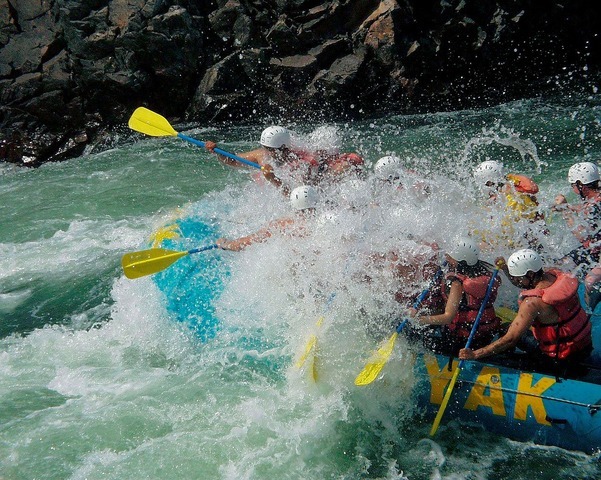 Raft through the aggressive River for around two hours and feel the adrenaline rush as you conquer the waves.